Athens, Ga. – Ecologists at the University of Georgia have discovered complex and surprising relationships between land cover and rates of transmission, illness and death from hemorrhagic disease in white-tailed deer. A pair of studies recently published in PLoS One and the Journal of Wildlife Diseases show that areas with the highest rates of disease transmission have the lowest rates of actual disease. Outbreaks of illness instead appear to be related to moderate rates of transmission and to increases in wetland cover nearby. The researchers found no evidence of a link between increases in wetland cover and increases in deaths from the disease, however. Hemorrhagic disease occurs extensively throughout the U.S. and chiefly affects white-tailed deer. Caused by viruses carried by biting midges, it is often—but not always—fatal. Deer that become ill exhibit symptoms including sloughing of hooves and lesions on the tongue or mouth. Hemorrhagic disease is not transmissible to humans. Andrew Park, a UGA assistant professor in the Odum School of Ecology and the College of Veterinary Medicine, leads a group that studies the ecological factors that impact the spread of infectious diseases. 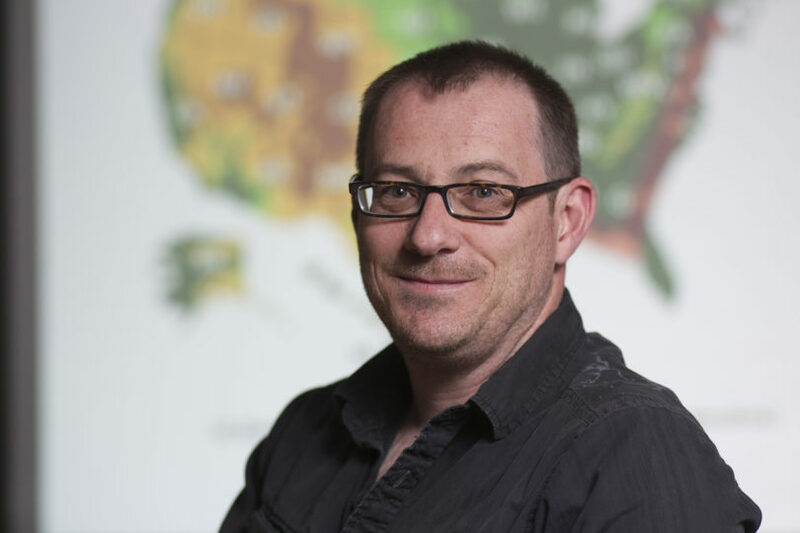 Because habitat disturbance has been shown to influence infectious diseases transmitted by insects, he and his colleagues wondered if changes in land cover could have something to do with a recent apparent increase in hemorrhagic disease. The paper that appeared in the Journal of Wildlife Diseases examined that possibility. Researchers with the Southeastern Cooperative Wildlife Disease Study in the College of Veterinary Medicine, including study co-author David Stallknecht, had compiled reports of hemorrhagic disease by county from across the U.S. from 1980 to 2007. This allowed the team to track changes in where the disease was occurring from one year to the next and where rates of illness and death were increasing, decreasing or remaining steady. To determine whether land cover change bore any relationship to these trends, the researchers used the 1992 and 2001 maps from the National Land Cover Database. NLCB maps are produced using satellite image surveys roughly once a decade by a consortium of federal agencies. They classify the entire country according to land cover type, providing a record of how land use and land cover have changed in the U.S. over time. Park and his team separated the disease data into two time periods, using 1996—the midpoint between the two land cover surveys—as the dividing line. For each county, they tallied the percentage of years with hemorrhagic disease deaths and the percentage of years with hemorrhagic disease illnesses. They also noted the land cover classification in both periods. They found in counties where wetland acreage increased from 1992 to 2001, reports of illness also increased. Where wetlands decreased, reports of illness decreased as well. Park explained this might be due in part to the habitat needs of biting midges that transmit hemorrhagic disease viruses. “They like to lay their eggs in wet mud habitats, areas like pond edges and bogs,” he said. But when it came to deaths from hemorrhagic disease, it was a different story. The researchers found no relationship between increasing rates of death and increasing wetlands, or any other land cover type, for that matter. “The mortality story is complicated,” Park said, “but it seems to be related to how frequently a region experiences disease.” This was the focus of the paper published in PLoS One. In areas such as Texas and Florida with the greatest rates of transmission, Park explained, the deer population gains a high level of immunity. Deer exposed to the viruses develop protective antibodies that mothers pass on to their fawns. In those areas, reports of illness or death from hemorrhagic disease are rare. Areas with less frequent but still regular outbreaks, including much of the Southeast, report the highest rates of illness, but not deaths. There, many deer are able to maintain enough immunity that they can resist the disease. In Northern areas where outbreaks occur infrequently, however, the results are usually severe. Taken together, the studies begin to paint a picture of the complicated dynamics of the hemorrhagic disease system, with potential implications for improving its control. Knowing that areas with few reported cases could be a source of the virus that midges can spread to other places could inform surveillance efforts, for instance. And understanding the disease’s relationship to land cover change might help managers predict future outbreaks. Although the wetland cover study found a relationship between wetlands and disease, Park cautioned against drawing negative conclusions about wetlands. “Wetlands perform very important ecosystem services,” he said, such as maintaining and improving water quality and controlling flooding. Brett Berry, an undergraduate student of Park’s who was lead author on the land cover paper, agreed. “I think the important point is to realize how much human-caused land cover change influences disease dynamics,” he said. Besides Park, Berry and Stallknecht, the authors of the land cover study were Krisztian Magori, a former UGA postdoctoral associate who is currently at Auburn University, and former UGA ecology undergraduate Amanda Perofsky, now a graduate student at the University of Texas, Austin. Funding for the study was provided by UGA and the McDonnell Foundation. The study is available at http://www.jwildlifedis.org/content/49/3/501.short. Park, Magori, Stallknecht and ecology undergraduate student Brad White co-authored the paper on transmission rates. The study is available at http://www.plosone.org/article/info%3Adoi%2F10.1371%2Fjournal.pone.0061501. For more information about the Odum School of Ecology, see www.ecology.uga.edu. For more information about the College of Veterinary Medicine, see www.vet.uga.edu.